The 90’s was the time when retail industry was growing rapidly. We can see shopping centers opened in various places, and shops were crowded with visitors. But now, many of these shops go bankrupt, and various malls are not much different from the tomb. The booming trend of online shopping has made retail businesses, which are late to adapt, forced to close their businesses, while the survivors shift their business online. The trend peaks in 2017, which is known as the “apocalypse of the retail industry”. However, the “apocalypse” that occurred in 2017 did not necessarily make the retail industry extinct. Millennials’ spending styles may change, but recent technological developments have greatly helped business owners to adapt to the harsh competition of the trade industry. Online shopping offers various advantages, such vast choice of products and brands, competitive prices, and ease of transaction. But there is one thing we cannot get from shopping for products online, which is shopping experience. Have you ever seen how excited a child is when shopping at a toy store? Or taste a sample product when trying to buy cookies? That’s what is called the shopping experience. Utilizing this, retail businesses can improve their customers’ shopping experience by presenting things that cannot be found when shopping online. For example, Sephora, a brand that sells beauty equipment recently opened a branch in the United States where you cannot buy any products at the store, but you will be offered makeover service. This unique experience shall not be forgotten by customers and they will not hesitate to share the experience with their families and friends. Lately we have been able to see products such as speakers, TVs, and automobiles connected to the internet. This makes retail businesses able to collect various data about how their customers use their products. Furthermore, the sellers can send the right marketing message to buyers through the product. For example, “smart refrigerators” can detect when you run out of eggs and display them on the screen on the door or on your cellphone while providing info on where you can get the best prices around your home. Other IoT implementations are through the Dash Button, a product from Amazon. The Dash Button is the hardware that you use to buy your daily needs. In 2019, Amazon has collaborated with more than 200 retail businesses in the United States. Shopping is easier, cheaper and more comfortable with IoT. 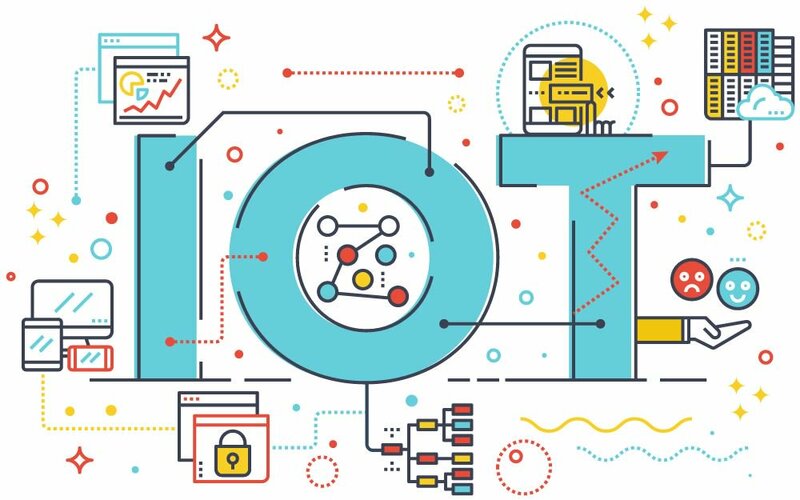 It is predicted that by 2020, the number of IoT users will reach twice the current record. In 2018 it is common to find sellers and buyers interacting on Facebook, whether it’s to ask for the availability of goods, ensure prices, check quality, or to ask about the delivery of goods purchased. Customer and seller using Facebook Messenger as a media is due to the convenience provided when communicating. Many consumers prefer to shop at a store that has a Facebook page for reasons of ease of communication. This is why it is important for retail businesses to have a Facebook Messenger bot that can interact with customers, such as opening up conversations and directing to the products that buyers want. Seller can also create a bot that can send messages via Facebook Messenger that remind buyers that they have an abandoned cart and allow them to complete the purchase on the Facebook Messenger application. Cognitive computing is a service that can analyze massive amounts of data in the same way humans think, reason, and remember. With help of cognitive computing, customers can interact naturally with these technologies and get recommendations based on accurate data. Retail businesses that implement this technology in their customer service division are proven to be able to provide far better and faster service. This kind of technology can be found in several Hilton Hotels in the United States. 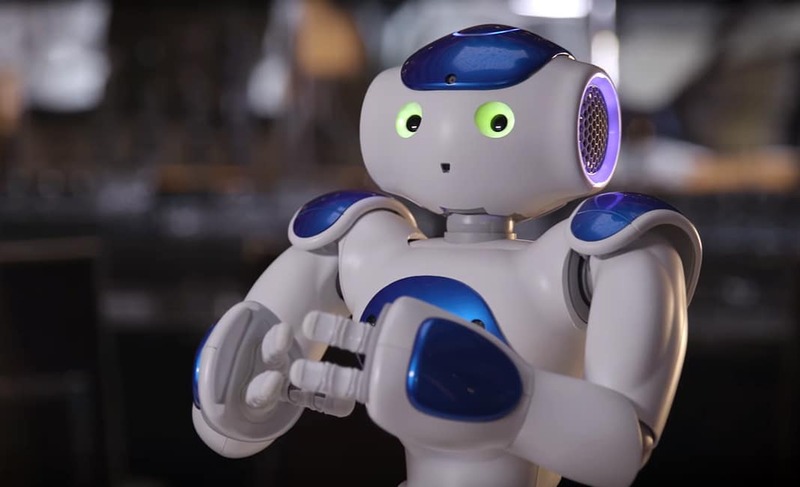 The Hilton hotel introduces their concierge robot named Connie in 2016. This robot can direct hotel guests to find the best attractions and restaurants in the area. Connie even could move and point her body to direct guests to towards a spot in the hotel. The visitors only has to ask Connie for an assistance. With Connie’s help, the front desk staff at Hilton Hotels can focus on other important work, such as picking up telephones and checking in guests. We can see the use of augmented reality technology at famous furniture stores, IKEA. They developed an augmented reality app that displays three-dimensional model of the furniture that the customer want to buy in their homes. This digital furniture can be resized to make it fit in the buyer’s room and can be observed from various points of view in the room. With app like this, customer won’t have to worry that furniture they buy is too big or small, or the color does not match the paint on the wall. The use of augmented reality makes it easy for buyers to interact with the products they purchase, choose the right furniture for their home, and more importantly, buy the products. Manually bookkeeping, using paper to create reports and data collection, and unnecessary employee spending are things that make the retail industry fail to adapt the rapid technology changes. In 2018, there were a lot of retail industries that start imple menting supporting software. One software that is quite popular among the retail industry is ERP Retail. This software helps business people automated their activities, so they are more focused on developing their business. Even though the development pace of online stores is rapidly growing, that doesn’t mean your retail business has to stop operating and start to go online. This is why retail business have to adapt to technological developments and turn it into an asset to bring profit to your business. The six things above merely a tool that can make retail business competitive with online stores. All you need to do is start implementing it now. 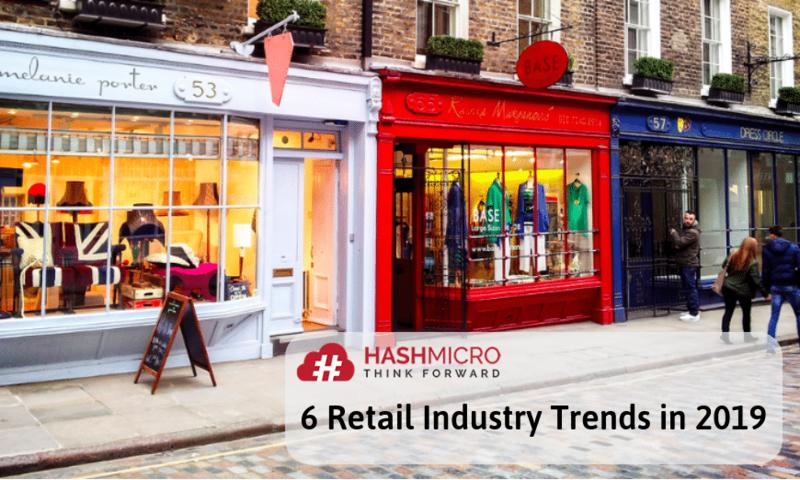 Read other retail business tips and tricks on the HashMicro blog.